Last night we had the opportunity to test a Generation 1 Porsche 997 Turbo Cabriolet at the drag strip. The Turbo Cab was equipped with Porsche’s tried and true Tiptronic transmission. It also just received an ECU tune from RENNtech as well as an Akrapovic Titanium exhaust system. During our drive to the track, we were astonished at the way this 997 Turbo pulled from every RPM, as well as how smooth the power was delivered. 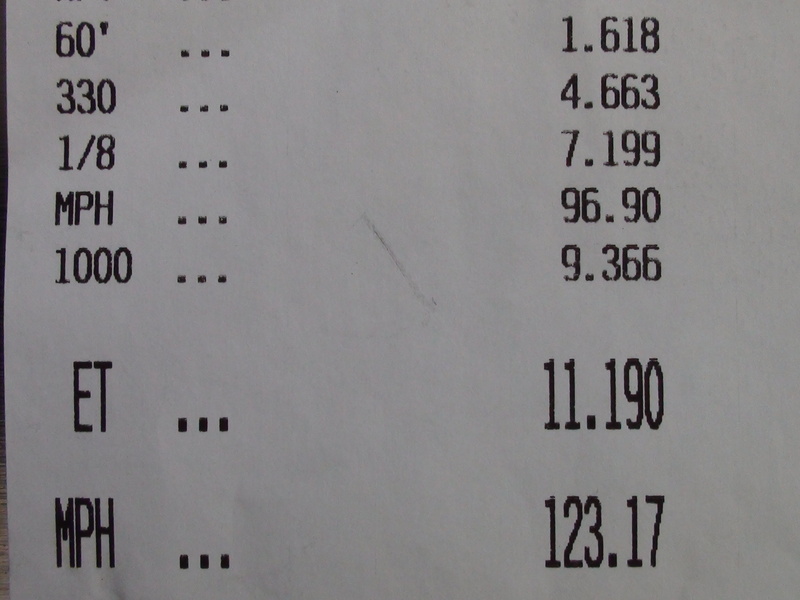 Considering that it was a very humid night and 85 degrees, we speculated that the Turbo Tip Cab would run 11.40s. The best runs were made with PASM off, shocks set in normal mode and launching at 2700 rpm by loading the torque converter against the brakes with the throttle. 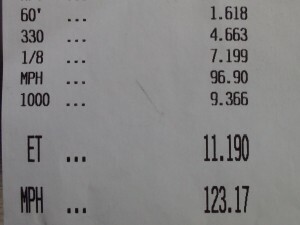 On the 11.19 run, the Turbo Cab ripped out of the hole with an eyeball flattening 1.61 60 foot time on its 20 inch Michelin PS2s mounted on Techart wheels. Our VBox confirmed the hard launch caused the Porsche to catapult from 0 – 60 mph in 3.1 seconds. It is also worth mentioning that the Akrapovic exhaust is a work of titanium art that has a deep mellow tone at a cruise with no droning. However, crack the throttle and the Akrapovic exhaust bellows a symphony of sound that is music to any Porsche lover’s ears.